The accounts payable (AP) process is one of the most important tasks a firm performs daily. Although accounts payable automation is not new technology, it has come a long way over the years. It’s surprising that so many firms have not embraced this technology to improve the AP process. Maybe it’s because they feel doing it manually will be more accurate, or they think their current process is efficient and cost-effective? So, let’s take a look at the benefits of automating the AP process and see if these preconceived notions have merit. 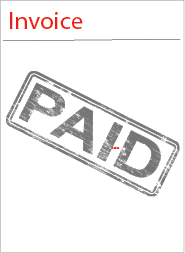 Accounts payable is a paper-intensive process that requires printing, copying, storing and retrieving papers. Additionally, manual processes are slow and are prone to human error rather than being more accurate as one may think. With AP automation, invoices are stored digitally, and both paper costs and manual entry are eliminated saving money and ensuring accuracy. The AP process is a repetitive and time-consuming manual task. For instance, processing an invoice manually requires a person to copy information from an invoice and add it to the accounting books. When a firm automates the AP process, employees are relieved of doing these tasks and can focus their efforts on more profitable pursuits. It’s difficult to manage your firm’s finances if you can’t see them. Solutions like spreadsheets or pen and paper hinder your firm’s ability to generate accurate financial reports. Furthermore, being able to see who you owe money to allows you to predict future firm spending and avoid late payment fees and penalties. With AP Automation, your firm’s financial picture is easily accessible and therefore manageable. Procurement policies are hard to enforce if you do not have a way to approve a purchase before it’s made. Using an automated AP solution allows firms to setup an approval process that ensures purchases are in compliance with firm policy. Firms can gain control of their spending by knowing when a purchase is made prior to being issued an invoice which promotes transparency. With actual reduction in error, cost savings and a clear view of firm finances, the preconceived notions of not using AP automation are certainly without merit. And there’s even more benefit to automation. An automated AP solution allows vendors to submit invoices to a designated email address or webpage which reduces the risk of losing invoices. It also ensures you pay your vendors on time which makes them happier to work with your firm. Is your firm ready to automate?